﻿For the second year, the Creative Art Series is enhancing student learning and broadening public perspectives through art, music, film and theater. Each visiting artist in this School of the Arts series offers a master class workshop for students and presents a free public performance to open the experience to members of the public. The series also includes highly-celebrated events by St. Cloud State's own students and faculty. Presented by the Department of Theatre & Film. Free with St. Cloud State ID. St. Cloud State theater department presents "Hair," a Broadway classic that puts rock music, and the culture that went with it, on stage. 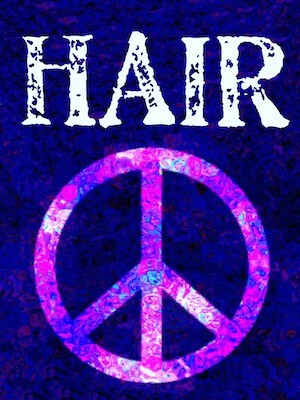 "Hair" has a strong impact on everyone and acts as a bridge between generations and viewpoints. What looks like incredible chaos is actually organized chaos. Phenomenal musical numbers include "Aquarius," "Good Morning Starshine," "Easy to be Hard," "Hair" and "I Got Life." Free event. Presented by the Department of Art. 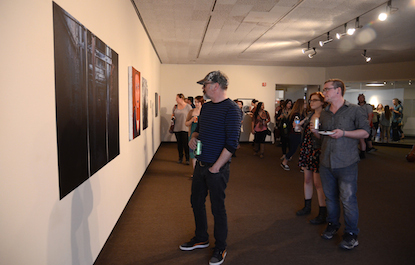 The Department of Art celebrates its 50th year of the Juried Student Art Exhibition, curated by Twin Cities arts professionals. Free event. Presented by the Department of Theatre & Film. The third annual Student Film Festival features the best St. 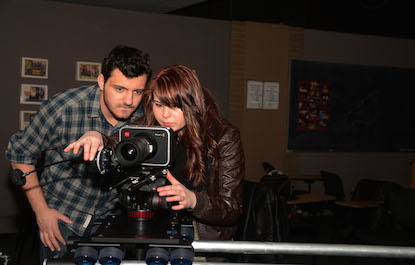 Cloud State past and present student short films. Filmmakers, actors and crew will be in attendance. Presented by the Department of Music. Tickets TBA. The Department of Music is proud to present the 15th annual "Her Story, Her Song" concert. "Her Story, Her Song" is designed to give performers and audience members an opportunity to explore an aspect of life from the feminine perspective. Student participants also seek a community connection to help increase awareness of the community's support systems available to help women and children. Read about the 2015 "Her Story, Her Song." 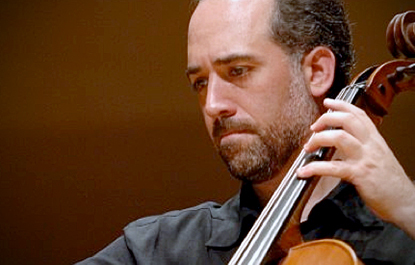 Sept. 9, 2015 - Pablo Mahave-Veglia, "Not so Alone"
World-renown cellist Pablo Mahave-Veglia, a former professor at St. Cloud State, performs "Not so Alone," a recital of works for solo cello, electronics and video, to mark the opening of the second annual Creative Art Series. His performance includes works by Bach, Bill Ryan, Edgardo Cantón and Andrés Alcalde. Mahave-Veglia performs on a five-string baroque cello made by Chilean Luthier Marcelo Cigna in 1986. He also performs on a late eighteenth century British cello restored to period setup by Ian Watchorn in 2005. His modern instrument is a 1790 William Forster on loan to him by an anonymous private collector. Please join us for this unforgettable kick-off event and the opening reception for the Creative Art Series. Free event. Presented by the Department of Music. Faculty Music Recital – Sept. 8, Performing Arts Center. Recital of chamber music in collaboration with the string faculty at St. Cloud State: Marion Judish, violin, Coca Bochonko, viola and Joel Salvo, cello. Performance includes works by Kodaly, Hindemith and Arensky. Master Class – Sept. 9. Sept. 30, 2015 - Tim Miller, "Performance! Body! Self!" Tim Miller presents "Performance! Body! Self!" 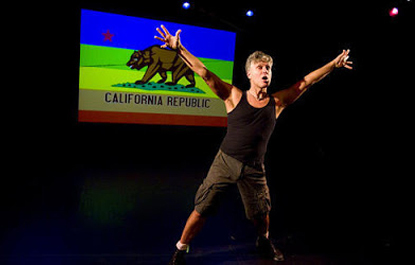 The free performance is a solo performance where Miller will perform excerpts of his performances and speak about how performance can be used to embolden communities and connect people. As an internationally-acclaimed solo performance artist, Tim Miller's creative work as a performer and writer explores the artistic, spiritual and political topography of his identity as a gay man. Since 1999, Miller has focused his creative and political work on marriage equality and addressing the injustices facing lesbian and gay couples in America. Hailed for his humor and passion, Miller has taught performance at at universities throughout the United States. Read more about Tim Miller's upcoming performance and residency. "Body Maps" workshop and performance – Miller’s residency includes a week-long workshop for students and the community that culminates with “Body Maps,” a free public performance at 8 p.m. Oct. 2 in Headley Hall 227. Any St. Cloud State student or interested community member is welcome to participate in the workshop by attending the group rehearsals from 7-10 p.m. Sept. 28-29 and Oct. 1. Participation in the group performance at 8 p.m. Oct. 2 is not required to participate in the workshop. The final rehearsal for the show will be 4:30-7:30 p.m. Oct. 2. The workshop and student performance will be held in Headley Hall, those interested in participating can contact Tami Spry at tspry@stcloudstate.edu. 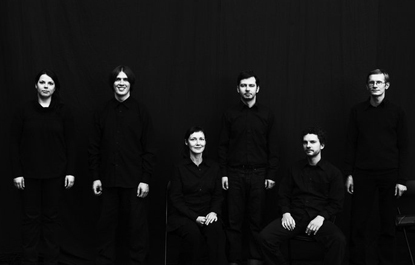 U: is a Tallinn, Estonia-based sextet dedicated to contemporary music. 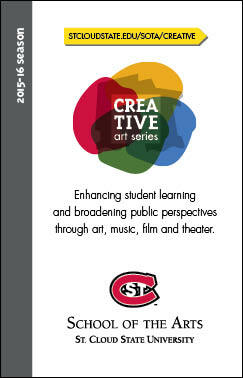 The ensemble will be in residence at SCSU as part of the Creative Arts Series. While in St. 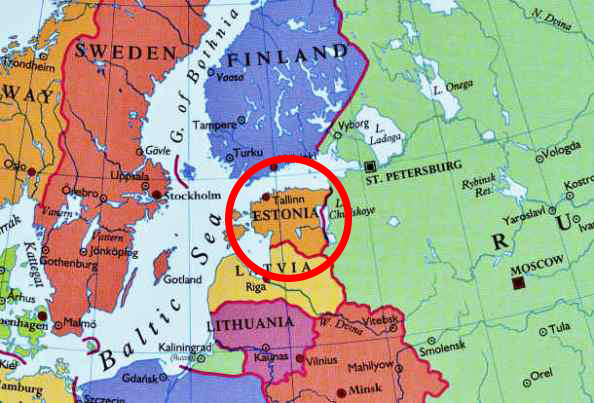 Cloud, they will present masterclasses on music entrepreneurship in a post-Soviet republic and improvisation, and a concert featuring new music written for them by Estonian and American composers. This will include the world premier of Accretion, which they commissioned from SCSU music professor Scott Miller. The St. Cloud State choirs present the highly-celebrated Music at St. Mary's concert in the beautiful Cathedral of St. Mary in downtown St. Cloud. This annual event will feature a sampling of the finest choral repertoire ranging from exciting new works to beloved choral classics. 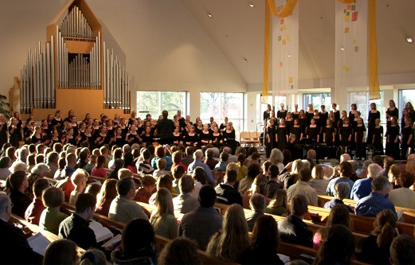 The concert will include performances by the St. 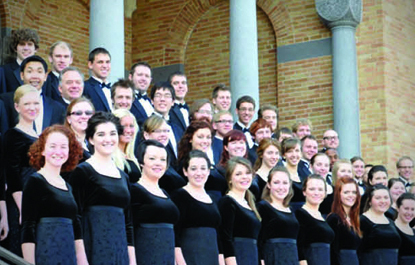 Cloud State Concert Choir, Chamber Choir, Women's Choir and Men's Choir. Join us for an afternoon of enchanting voices during this signature St. Cloud State event in one of the community's most celebrated venues. Chloe Lum and Yannick Desranleau work together to design album covers, prints, books and illustrations. Based in Montreal, Quebec, Canada, their screen printed work investigates the relationship between the materials of fabric and paper. 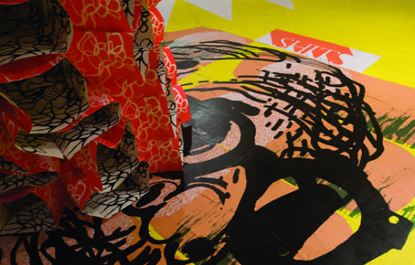 They will create a site-specific installation at Kiehle Gallery. There will be an opening ceremony from 4-5 p.m. Jan. 26 featuring a performance by the Bodycartography Project in the Kiehle Gallery. An artist talk will follow from 5-6:30 p.m.
Whitechapel Project Space (London, England, 2007). Their collaborative work is in several collections including the Victoria and Albert Museum (London), the University of Maryland Art Gallery and the Bank of Montreal corporate art collection. Free event. Presented by the Department of Theater & Film. 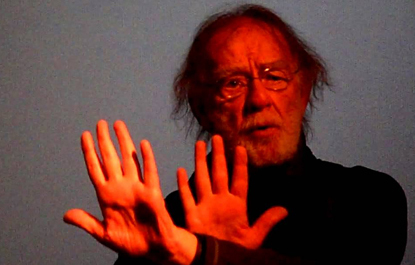 Godfrey Reggio is a pioneer of a film style that creates poetic images of extraordinary emotional impact for audiences worldwide. During his visit to St. Cloud State, Reggio will showcase his "QATSI" trilogy, essays of visual images and sound which chronicle the destructive impact of the modern world on the environment. The QATSI trilogy includes the films "Koyaanisqatsi," "Powaqqatsi," and "Naqoyqatsi." All of the film titles are taken from the Hopi language; Koyaanisqatsi meaning "life out of balance," Powaqqatsi meaning "life in transformation," and "Naqoyqatsi" meaning "life as war." "Visitors" viewing – 7 p.m. Feb. 25, Paramount Theatre, downtown St. Cloud. Thirty years after "Koyaanisqatsi," Godfrey Reggio – with the support of Philip Glass and Jon Kane – creates another stunning, wordless portrait of modern life. "Visitors" reveals humanity’s trancelike relationship with technology, which, when commandeered by extreme emotional states, produces massive effects far beyond the human species. A Q&A with Reggio will follow the viewing. Master Class – 7 p.m. Feb. 26, Performing Arts Center, Ruth Gant Recital Hall.